Albie was born in 1952 in Redditch, England. The family returned to Scotland when he was five years of age. Educated at Braco Primary School and Morrison’s Academy, Crieff, Perthshire. Albie attended Duncan of Jordanstone College of Art, Dundee from 1970 until 1974 when he graduated with a D.A. in Drawing and Painting. He was a teacher of Art and Design 1976-2007, first at St Mungo’s Academy, Alloa and then for over 20 years at Denny High School. In October 2007 he took the opportunity of early retirement to concentrate on developing his own paintings. Most of his work is inspired by the Scottish landscape, particularly Perthshire. The range of colour, texture and atmosphere within the landscape and the variations of light conditions each day and season provide the source for his work. He works mainly in oil paints, building up layers and creating a variety of textures. He tries to produce paintings that are both atmospheric and evocative. 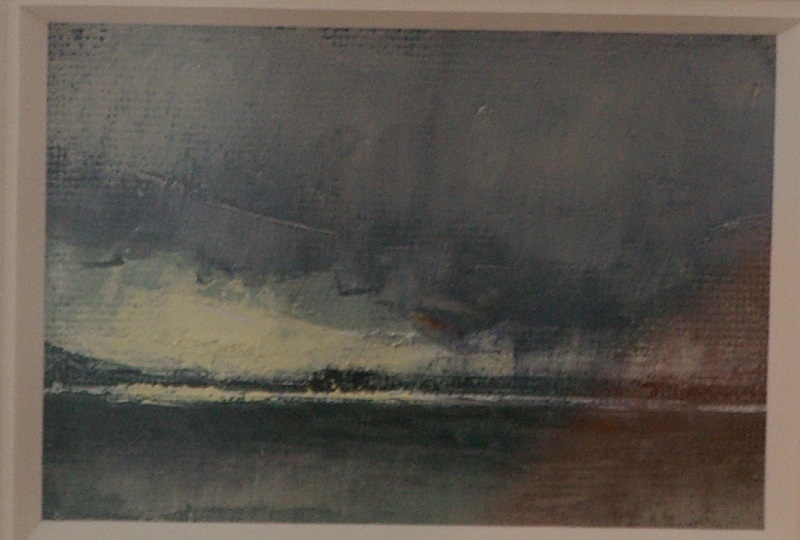 Showers across Rona, oil on paper, 5.5cm x 7.5cm. 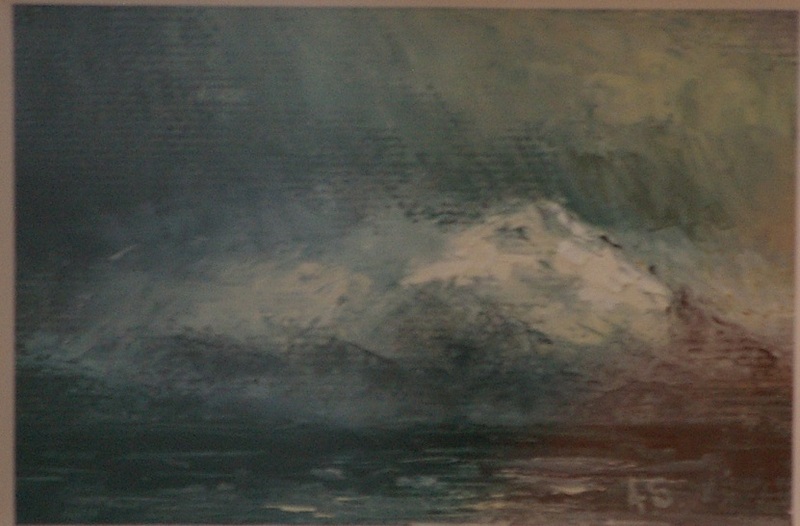 Snow on the Cuillins, oil on paper, 5.5cm x 7.5cm.